Adblock Plus is the Chrome version of the hugely popular free ad blocker for your browser. When you are surfing the web, you’ll know how irritating ads can be. They flash, blink and generally get in the way. If you’re really unlucky, they can even be dangerous. Adblock Plus removes ads from the pages you are viewing, leaving a clean, peaceful white space in their wake. This add-on works using filters. If certain elements are present on a page, the extension filters them out. There are several ready-made filters available, and you can choose however many you want from Adblock Plus’ settings menu. If you are a little more technically-able, you’ll also be able to create your own filters, or mark previously-unfiltered items by right-clicking on them and choosing Block Element. This is made easier by the developer tools panel that shows blockable items along with applied filters. Under Adblock Plus’ settings options you’ll also be able to add certain websites to whitelists (to exempt them from blocking) and toggle a few other options. You’ll also see the Adblock Plus icon in the address bar, and by clicking it you’ll be able to enable and disable Adblock Plus in a single click. If you’re bothered by ads while on the internet, try Adblock Plus. You won’t regret it. 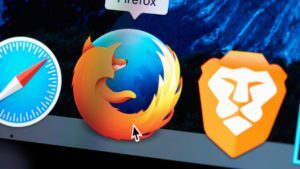 Adblock Plus is also available for Firefox. 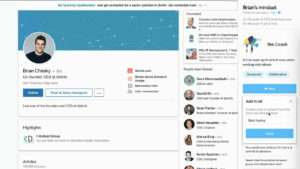 Eyeo GmbH provides more information about this add-on on its website. 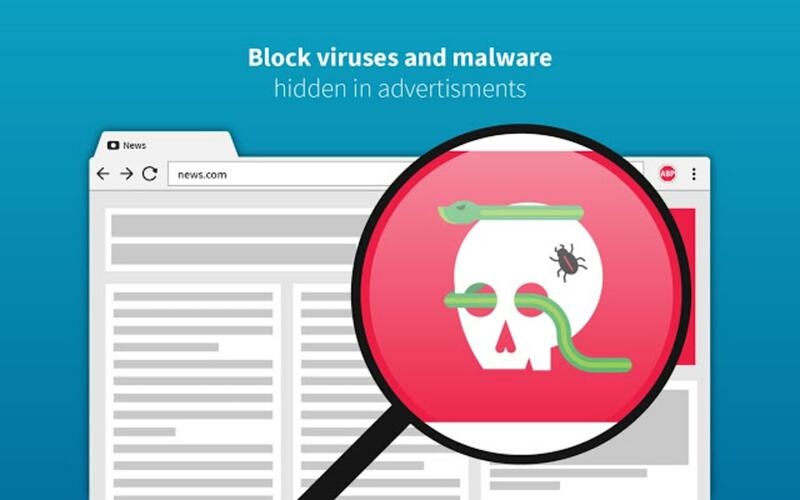 Block annoying ads for free with the most popular extension ever! Block all annoying ads on all the sites you visit with the most powerful adblocking tool available! 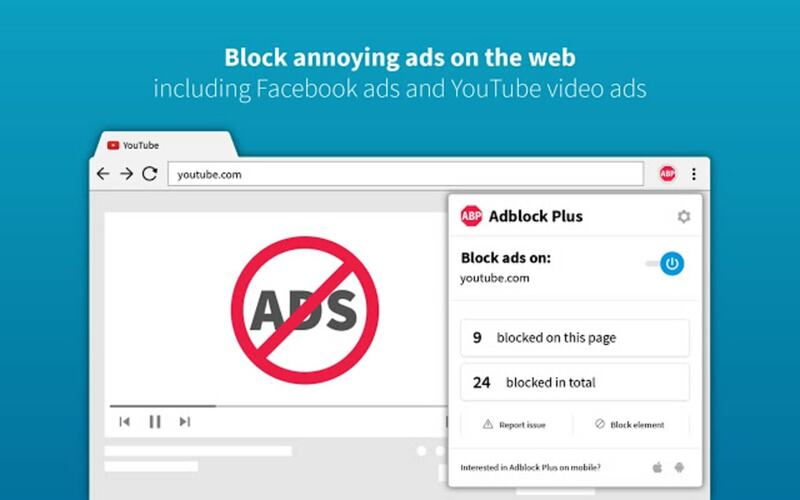 Adblock Plus for Chrome automatically removes ads from YouTube, Facebook, news sites and everywhere else! In order to support free content, non-intrusive ads are allowed by default (so you can still block them all if you want). Adblock Plus for Chrome blocks:video ads on YouTube, Facebook ads, sponsored Tweets, pop-ups, banners and all other obtrusive ads on the web. 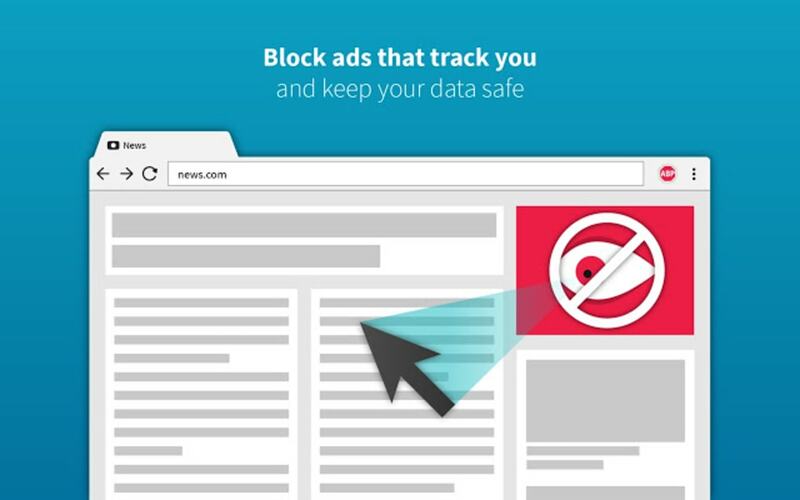 Adblock Plus for Chrome also offers extra tools that give you control over your privacy. For instance, you can activate features that block tracking, malware and the social media buttons (e.g. the “like” button) that threaten your personal privacy. Moreover, the UI has been greatly improved to give you control over your Internet experience. An integrated ad-counter shows how many ads you’re blocking on each page. In addition, the icon now opens a bubble that shows your personal “ad stats” (how many ads have you blocked all-time? 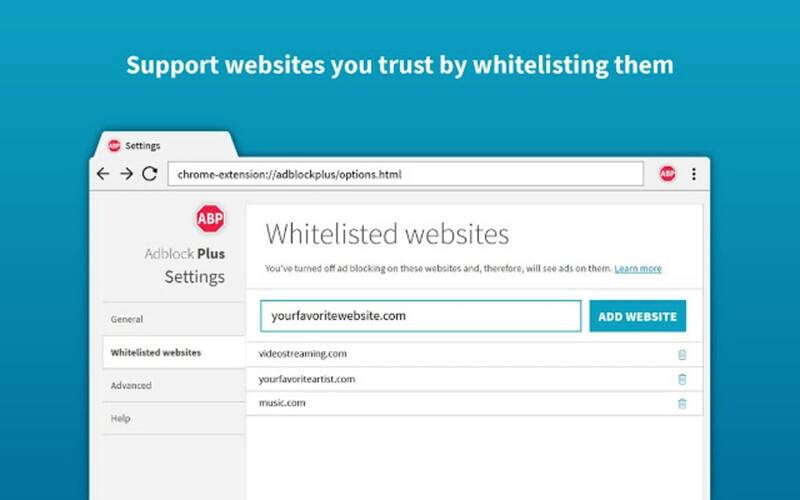 ), lets you hide specific page elements and enables you to whitelist sites you’d like to support. 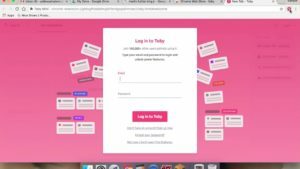 The most popular extension ever is used by tens of millions of users everyday. 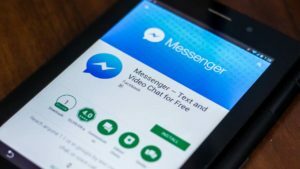 Supported by hundreds of volunteers from all over the world, we make sure that all the intrusive online advertising are blocked automatically. 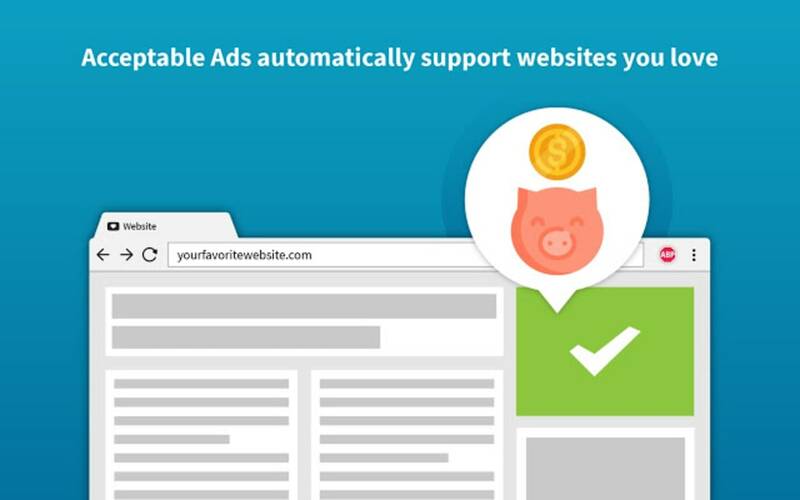 Download Adblock Plus for Chrome for free and get the best browsing experience! get very much frustration to adds. I get very much frustration to adds. when I listen songs from youtube adds very much disturb to me. The internet is not only for p****!. A must-have tool for comfortable surfing. Can't really imagine the internet without Adblock filled with officious and non-ethical ads. Great and reliable. I like that adblocker pretty much. no annoying popups and ads. Also good settings and easy to manage. Pros: very reliable. some webpages don't work properly. Great tool for blocking ads and banners. Great tool for blocking ads and banners. Easy to use, works effectively. Just enjoying surfing the Internet without all that ads stuff.